A new and efficient method for the synthesis of 1,3,4-oxadiazoles via the annulation of hydrazides with benzene-1,3,5-triyl triformate (TFBen) under metal-free conditions is reported. 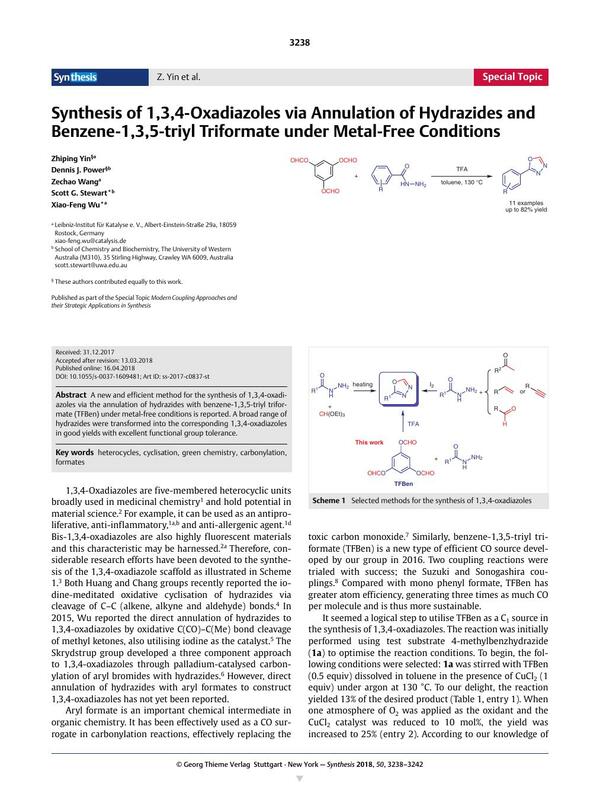 A broad range of hydrazides were transformed into the corresponding 1,3,4-oxadiazoles in good yields with excellent functional group tolerance. Supporting information for this article is available online at https://doi.org/10.1055/s-0037-1609481.